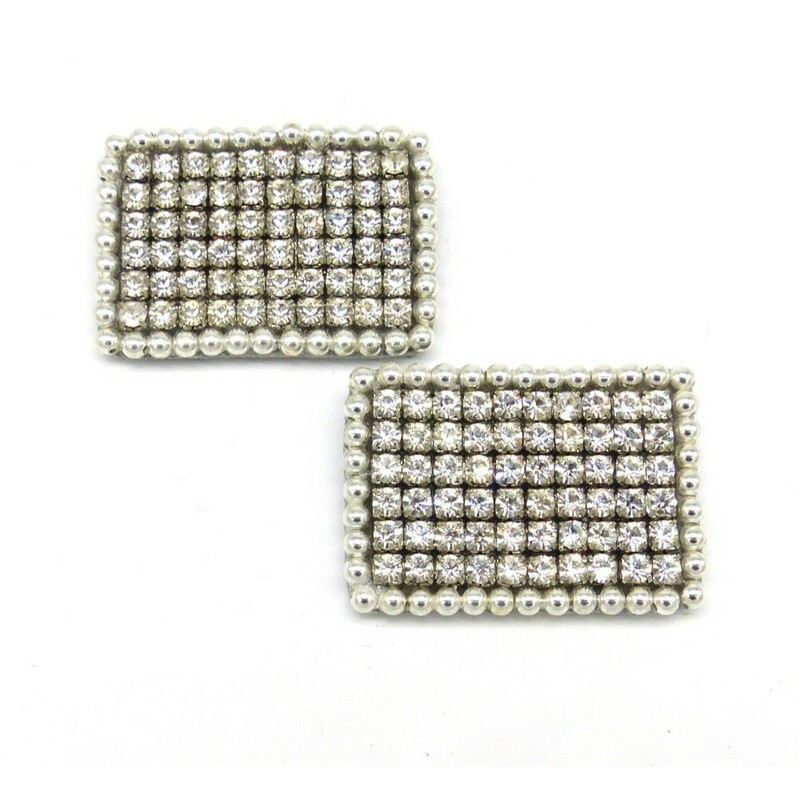 Tess Shoe Clips are eye catching and make an exquisite addition to an evening pair of shoes. 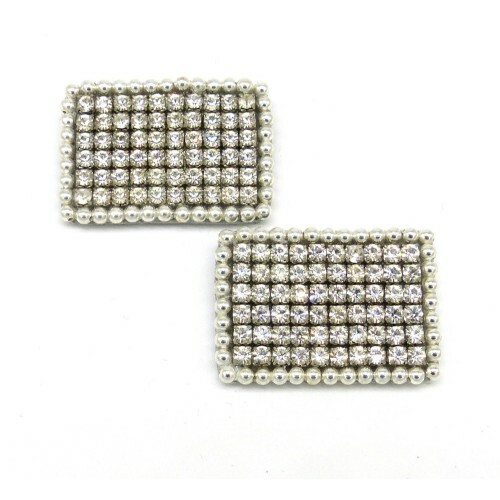 They are a mass of diamanté's and look fabulous on any colour of shoes. Size of shoe clips: 40mm x 30mm. Sold in pairs. Shoe clips are fastened to the shoe by a special clip that is attached to the back of the shoe clip. This has two sharp teeth that securely attach the shoe clip to the shoe by gripping the underside of the front of the shoe. Lovingly handcrafted in the UK.